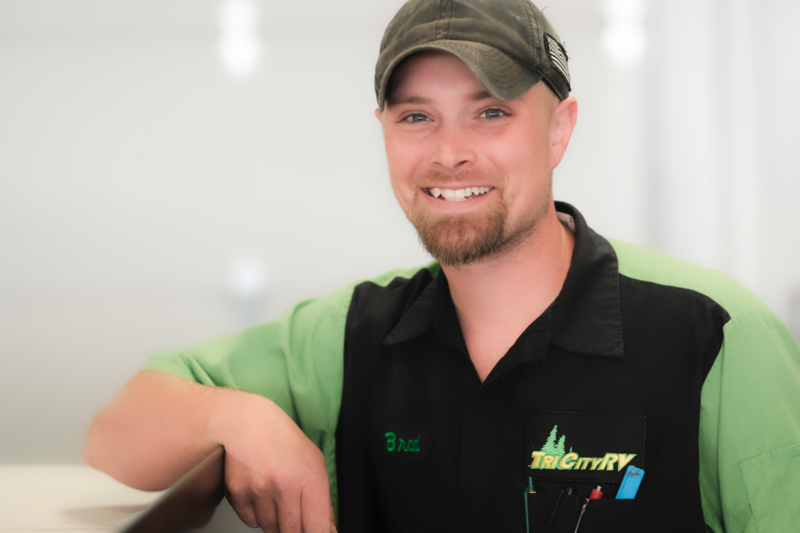 Brad joined the Service Department in 2017 and appreciates the friendly atmosphere at Tri City RV. In his free time, Brad enjoys hunting, fishing, and camping. I love spending time outdoors with family. I love P.F. Hoeft State Park. It’s right on the water with plenty to do. I appreciate the Second Amendment. I pledge to always be respectful and as helpful as I can be.